Cleaning is not easy but it is not impossible. In fact, the government is urging the public to practice and observe a clean environment. You should know that the Singapore Ministry of Health is advising the public to do their part in attaining a clean environment. Inside the house, it is your responsibility to ensure that your family is healthy by cleaning. Outside, it is the government’s responsibility but you need to cooperate. It is imperative that you schedule cleaning. Having spot cleaning is not a problem but if you want to get the help of family members, you should set the time when everyone is around. If there are many hands, things would be easier and less time consuming. Before proceeding with the actual cleaning, you should obtain materials first. 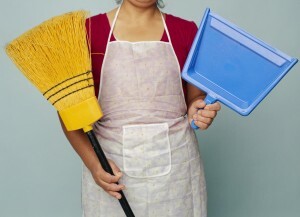 You need to secure dust pans, brooms, cloth, vacuums, duster, cleaning agents and many more. Perhaps you’ve heard about this. In sectioning, you should consider one room at a time. For example, you can begin in the bedroom and never leave it until you are done. The other rooms will follow. An important thing to note here-you should start upstairs. It does not end the moment you cleaned everything because you need to maintain it. You do not need to see cleaning horribly. If you have no time to spare, you should consider domestic help. Looking for domestic help is easy if you know where to go or what you need. Do not think about the cost because it cannot compare to the health risks you are putting your family.